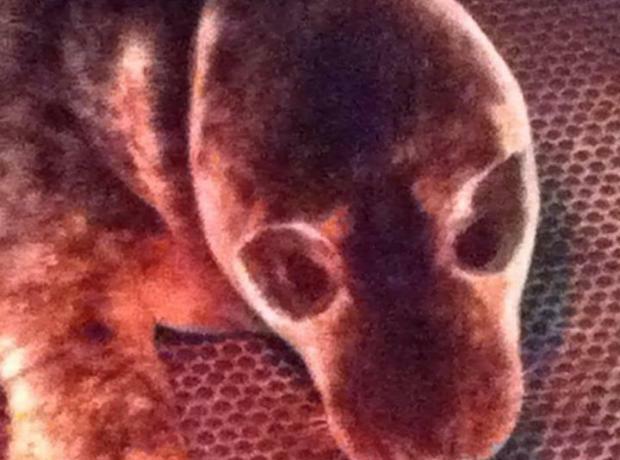 Yesterday the GSPCA received calls along the south coast of a Grey Seal Pup which was first we believe seen in L'Eree. At 4pm we had a call from Jamie Hooper who's from conservation group La Société Guernesiaise which had the pup reported to him at Pezeres Point. Jamie was concerned for the pup and contacted us here at the GSPCA where we launched the rescue. Geoff George Animal Collection Officer and Sarah Creasey the Education and Welfare Officer attended the scene where they found a very thin 3 week old grey seal pup. Nearly 2 months to the day since the grey seal pups Jethou Bumblebee and Hanois were released by the GSPCA back into local waters and a month since they were last spotted we are pleased to announce that the residents of Jethou spotted them once again back in the bay where they were released yesterday afternoon. Yesterday GSPCA Shelter staff and a volunteer boat crew had a wonderful site. 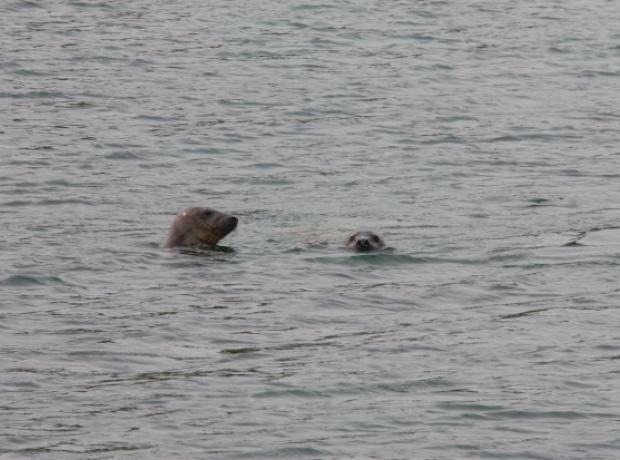 After months of care and rehabilitation Jethou Bumblebee and Hanois the two grey seal pups that were rescued during the winter around Guernsey were released back into the wild. Today Jethou Bumblebee and Hanois the two grey seal pups at the GSPCA Animal Shelter had their second dinner date and we are pleased to say once again they got on extremely well. Both seal pups are putting on the pounds and we are hopeful they will be ready next month to be released. We are still appealing for donations toward fish and their care and you can do this help online by following the paypal link below or calling 01481 257261. We thank all that have already supported both Jethou Bumblebee and Hanois so far. Today for the first time Hanois and Jethou Bumbelbee the two grey seal pups at the GSPCA were introduced together in our large pool. Jethou Bumblebee who has been at the Shelter since November and Hanois who was rescued the start of this year are both putting on weight and much healthier since they were first rescued. Today Hanois our second grey seal pup this winter got his first swim since being rescued in one of the GSPCA Animal Shelter pools. At only 3 to 4 months of age and having being kept warm during his rehabilitation after being found sick and injured near L'Ancresse 4 weeks ago he wasn't too keen on his first dip.